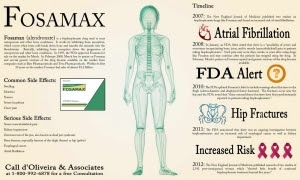 It has been over a decade since I came to the realization that the entire profession of medicine had been bamboozled by the propaganda coming from the Big Pharma drug and vaccine maker, Merck & Company, that its so-called “fracture-preventative” drug Fosamax had defrauded us doctors and our patients by falsely claiming a “50% efficacy rate” in the prevention of bone fractures in osteopenic/osteoporotic women. By doing a little math, I understood that the honest truth of the matter was that patients who took the drug for four years had a miniscule 1-2% absolute risk reduction (AAR) in the incidence of fractures, which is a much more realistic figure that Merck, being a sociopathic entity that is inclined to tell half-truths or outright lies, chose not to use in its advertisements. It is a fact that being truthful in the drug or vaccine industry is an impediment to selling product, because they would be admitting they were selling a lousy, fraudulent, relatively ineffective or dangerous drug or vaccine. In other words, Big Pharma/BigVaccine is still successfully bamboozling us doctors and patients (as well as Big Media, the CDC, the FDA, the AMA, the AAP, the APA, the AAFP, the NIH, the NIMH, Wall Street and our politicians) with the old deceptive tactic of using relative risk reduction statistics about vaccine efficacy rather than honestly telling us the more truthful absolute risk reduction figures whenever they are rolling out their newest – and increasingly unaffordable – vaccines. Therefore, I devote the remainder of this column to reporting some excerpts from the internet and end with some examples of published studies from courageous researchers who have gone up against the drug industry and reported the important statistics that we should all demand to know when a vaccine (or drug) is being sold to us.